Mira doesn't like her curls, she wants her hair to be straight, just like her Mama's. But is it really straight? 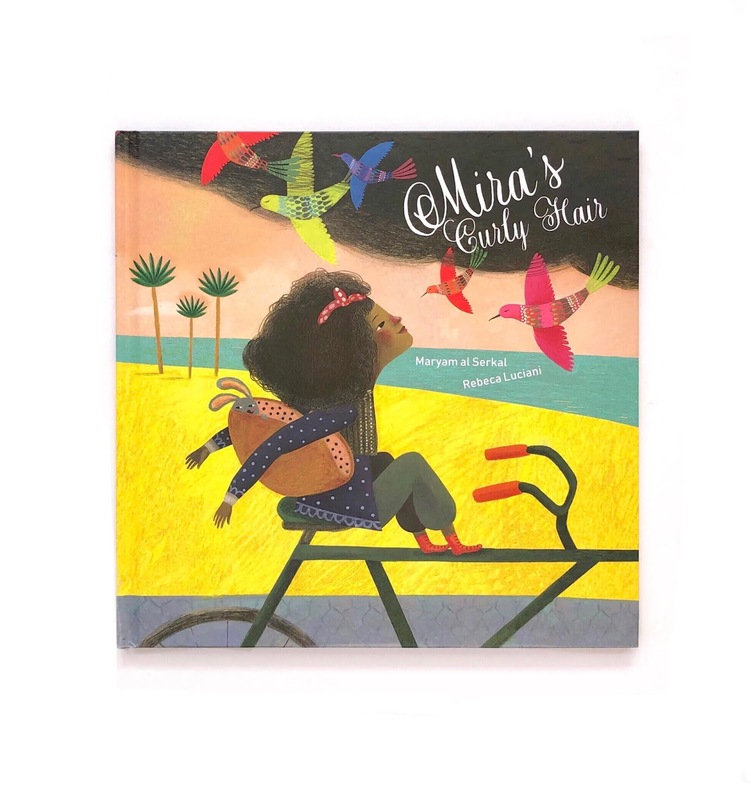 As the girl finds out about mum's natural hair, the mother&daughter bond will get stronger, as well as Mira's self-confidence and sense of belonging. This simple yet unconventional and empowering short story set in the Emirates will be out on April 11th published by Lantana Publishing, London-based independent publishing house committed to give BAME authors and illustrators a platform to publish in the UK. 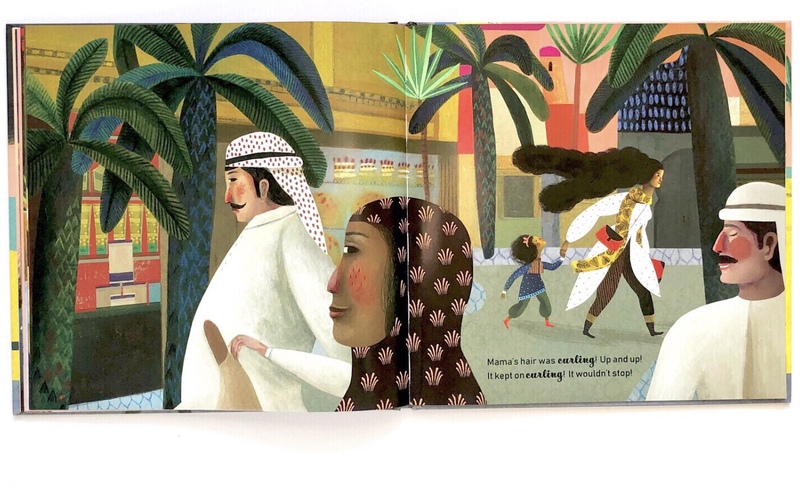 Each of their books celebrates diversity and inclusiveness. 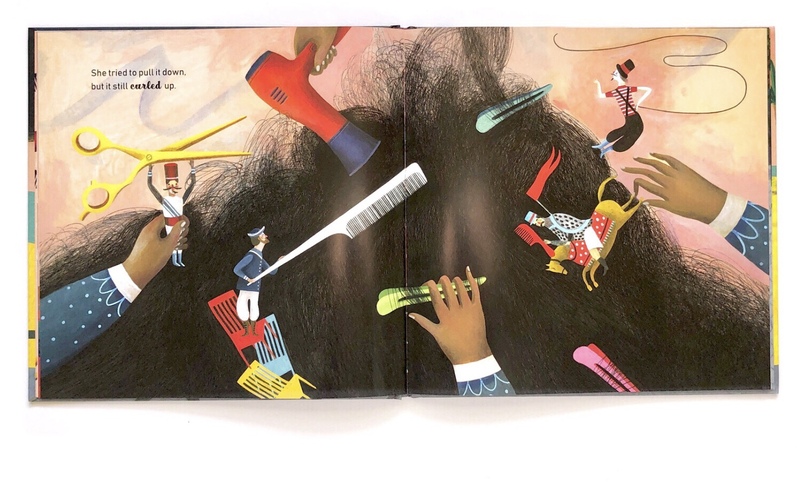 This book tackles so many themes in just a few pages: for women, hair is a in fact a symbol of beauty, identity and change. We dye it, straighten it, cut it, lengthen it, sometimes to look like an idea that we have in mind, or one we saw on a magazine. We visit our hairdresser more or less consciously at any turning point of our lives, to feel different and new, or just for fun. Yes because hair is also a matter of expressing our creativity. During the teenage years the restless change of haircuts tells us about the struggle to find our identity, coming to accept our changing body. But what about our natural hair? I never really took the time to think about how my hair style could turn my daughter's imagination on and affect her self-awareness until she started to complain about her not-enough-blonde curls, and I found her in the bathroom with a comb and water trying to straighten them, and she is only four. While her little sister has naturally light, straight hair like mine, she has slightly darker, beautifully rebel, wavy hair. Soon after Lantana Publishing kindly shared a copy of this book which was perfect to start a conversation with her about her hair and how her hair ultimately come from a combination of mum's and dad's genes. So although I definitely support the right for women to do whatever they want with their body, I also acknowledge the need to stop and think about which standards of beauty we are setting for our children, since this might also affect their sense of belonging to their culture as well as the development of their own identity. This is especially true if we have daughters, but I feel the theme applies to boys as well. 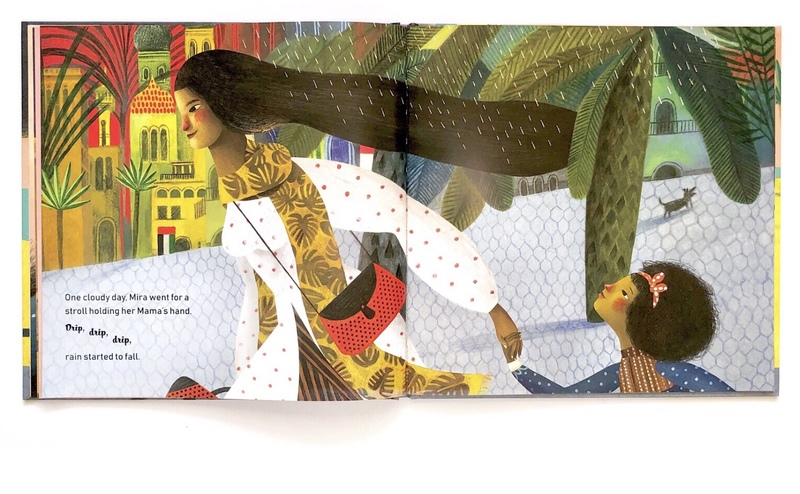 Mira's Curly Hair was written by Emirati writer Maryam al Serkal, who lives in Dubai with her family. It's her first book. 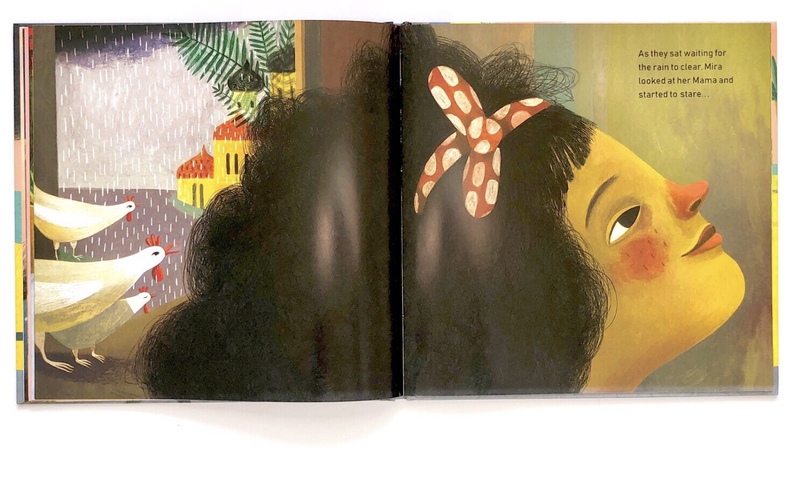 The beautiful, vibrant illustrations are by Argentinian illustrator Rebeca Luciani.